Antoine Joyce – All Stars Project, Inc. Since 2016, Mr. Joyce has served as City Leader of All Stars fifth city, Dallas, Texas. In his work to build relationships in the Dallas community, he has helped establish the All Stars Project’s two core programs in Dallas, the All Stars Talent Show Network (ASTSN) and the Development School for Youth (DSY). Through his outreach, Mr. Joyce has shared All Stars’ innovative afterschool development programs with more than 5,000 young people and their families in the poor communities of South Oak Cliff and West Dallas. Mr. Joyce joined the All Stars staff in 1997, after years of performing and volunteering in All Stars programs. 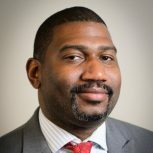 Through his experience with All Stars as a young person, Antoine’s perspective has been instrumental in developing All Stars in Dallas, Newark, and the San Francisco Bay Area. In 2008, he became a development officer and co-led a team of eight that raised $1.5 million for All Stars programs. Mr. Joyce is a gifted performer and public speaker and in 2004, founded a music management company, which produced a 20-country tour for DJ Grandmaster Flash. Antoine grew up in the Bedford–Stuyvesant neighborhood of Brooklyn.